This trace wire is made up of 49 individual strands of stainless steel. It is extremely soft and supple and can only be crimped, not twisted or tied. It comes in a neutral gravel brown colour, ideal for blending in with underwater environments, and has a very low diameter. Available in 30lb breaking strain, this is the ultimate wire for bait fishing for big predators as it massively aids presentation. 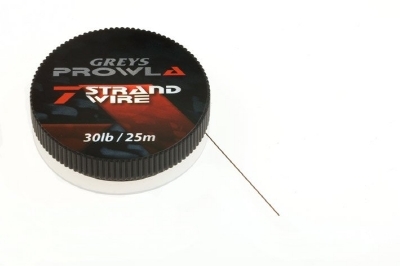 The unique Greys wire dispenser allows you to wind any surplus back on to the spool leaving the end protruding ready for next use. This wire is made up of 7 individual strands of stainless steel. Gravel brown in colour and available in a low diameter 30lb breaking strain, the wire is easily twisted or crimped when making your own traces. It is extremely durable and copes perfectly with all aspects of predator fishing. The unique Greys wire dispenser allows you to wind any surplus back on to the spool leaving the end protruding ready for next use. Prowla bait flags come in small or large sizes at 22mm & 35mm with 30 flags per box. They are moulded from soft and supple TPU rubber so as not to impede hooking potential. The flag should be mounted on the barbed point of a treble and slid down onto the bend. Bait flags are used primarily to give a visual striking point to a predator, but also to enable you to see which hook point is barbed - this should be the first removed when unhooking your fish. They can also be used to hold a bait in place by using 2 flags, the second being slid onto the barbed point after the bait has been mounted. Bait flags can be used with all manner of natural live, or dead baits, including fish, squid and worms. 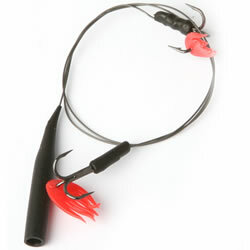 This Bait Slider is a perfect all-round float for live or dead bait fishing. 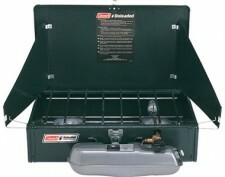 It's blow moulded and sonically welded to give an ultra-strong and watertight seal. Simply thread onto your main line and set the required fishing depth using a sliding stop-knot. 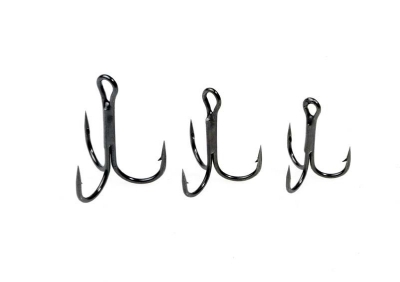 It's available in 4 sizes, each of which can be perfectly balanced with one of Prowla's quick change In-Line Sinkers. All you need to set a depth stop on your main line when float fishing are Prowla Float Stops & Beads. Simply thread your line through one of the wire hoops and slide a Float Stop onto your braid or monofilament. If the diameter of the float swivel or in-line tube slides over or gets stuck on the Float Stop just pop a Bead out of the handle and thread on after the Stop. There are 20 Stops and 6 Beads on each handle. 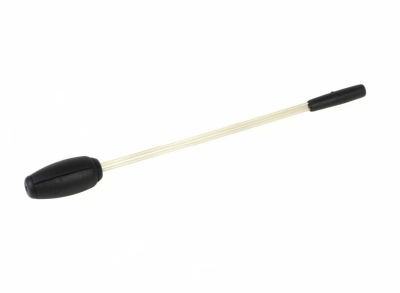 The Stops grip best on breaking strains in excess of 30lb. This smaller size of crimp cover has 2 internal bore diameters and should be slid down to the bottom treble hook, covering the crimp and keeping the trace neat and tidy. 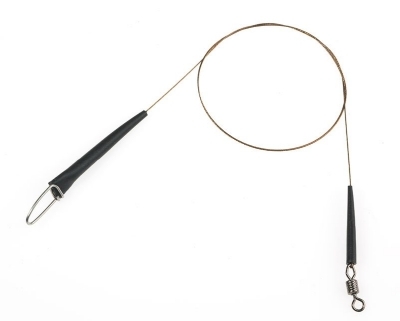 It should be left resting on the eye of the treble to allow hook movement so as not to impede hooking potential, but can be slid down onto the shank if required. Available in red or black. The larger of the 2 Prowla Crimp Covers has been designed and manufactured with an inner stepped bore giving 3 internal diameters to perfectly encase the wire, crimp, and barrel of the swivel. 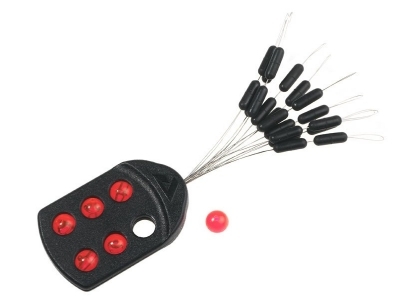 This creates a mini-boom effect when used at the top of a trace to prevent tangles during casting. It also improves trace presentation whilst fishing and prevents debris and weed from attaching itself to the trace. 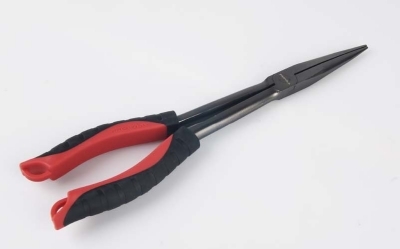 These crimping pliers give a perfect finish every time. The jaw has 5 pressure points that squeeze the crimp, avoiding damage to mono or wire, whilst still obtaining the strongest hold possible. 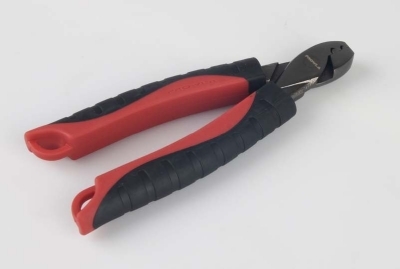 The pliers are finished in a scratch and rust resistant matt black nickel with soft touch rubber handles, come with a lanyard, and have 2 sizes of anvil to fit all Prowla crimps. They fit perfectly inside the Prowla Tool Roll with all other tools in the range. Needle pointed ultra strong Prowla treble hooks are the ultimate choice for the predator angler. Black chrome finish. Round bend. Available semi-barbed in sizes 4, 6 and 8. Also used on Prowla Snap Tackle and Paternoster Traces. Unlike conventional floater sticks which are made from balsa wood and need to be forced into your dead bait, Prowla Dead Bait Pop-Up Floats feature a threaded point enabling you to easily screw them into thawed or even semi-frozen baits, allowing you to change presentation and critically balance your dead baits. They must be attached to your trace with wire to avoid loss (see diagram), and are available in small or medium sizes to work with baits up to 3oz and 6oz respectively. Try leaving the red eyelet sticking out of the bait to act as a visual striking point for predators. 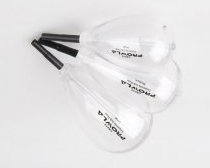 Safe System Ready-Made Up Traces are ideal for use with Prowla Floats. 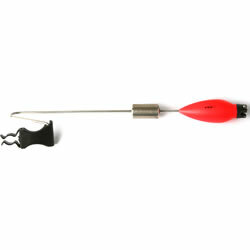 They reduce bite-off potential and offer a quick-change facility fpr hook traces, saving valuable time on the bank. 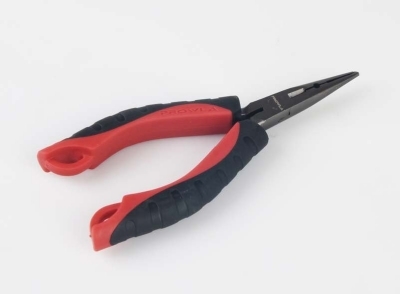 These pliers have a long 12 inch reach with a super powerful serrated jaw. 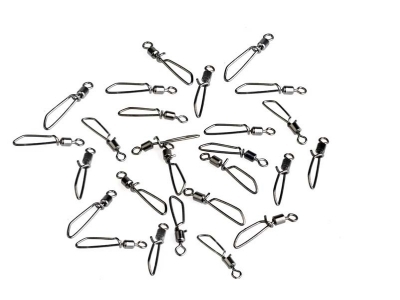 They are ideal for removing large trebles found on big lures and help keep your hands safely away from hook points. They are finished in a scratch and rust resistant matt black nickel, with soft touch rubber handles, and come with a lanyard. The Prowla 360 Rotary Paternoster Boom is simply a revolution in predator fishing! 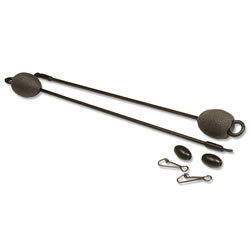 It allows you to fish natural baits minimizing those annoying tangles that so often occur when fishing paternoster rigs. Remove the packaging and pull the 100lb test uptrace mono through the vertical boom so the bottom swivel sits inside the rubber sleeve. 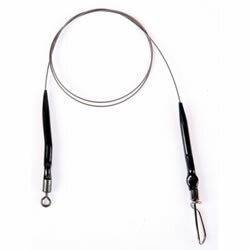 Attach a weak nylon lead link to this swivel and your main line to the top after threading on your float. Used with a Prowla Suspenda Sub Float fixed to the top swivel of the uptrace mono, the rig can be fished at any depth by adjusting the length of the weak nylon lead link. Alternatively it can be used with a standard style Prowla Bait Slider with the fishing depth being set by using a sliding stop knot and bead. Attach a Prowla Supa Paternoster trace to the boom arm swivel, which is moulded inside and along the full length of the arm and around the 360 rotary head for extra sure fish-safe security. 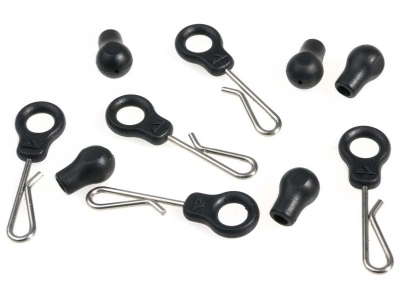 Prowla strong and robust round/diamond eye swivels are perfect for connecting nylon/braid to wire when tying traces. The impressed high quality rolling barrel will help to avoid line twists and can easily cope with wire up to 100lb test. Always crimp or twist your wire to the diamond eye of the swivel. 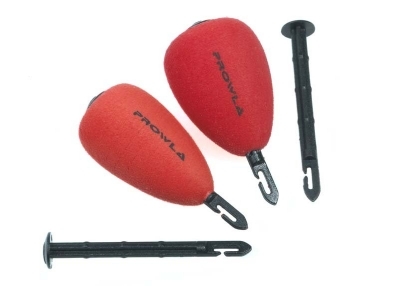 Prowla Free-Run Lead Clips and Beads offer the angler the option to quickly change leads whilst fishing. The rust resistant metal clip is made from anodised stainless steel and is insert-moulded into a logo embossed run-ring, which will not perish against the abrasion of braided lines. 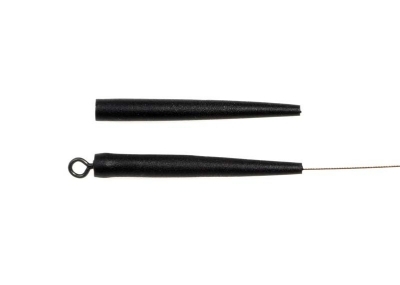 The large diameter provides zero resistance, essential when targeting specimen fish, and the black plastic bead acts as a buffer when sitting against a swivel or stop knot. 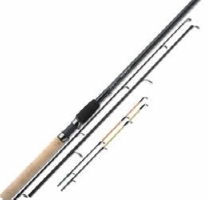 It can easily cast up to 8oz of lead and is ideal for all forms of fishing. Buffer swivel housing - 3mm I/D. Prowla Side Cutters have an extremely long and sturdy handle with an ultra strong powerful cutting jaw. This allows you to snip the points off the biggest of trebles meaning you can safely remove deep-hooked lures causing no damage to your fish. Manufactured from hardened chrome alloy with a rust resistant matt black nickel finish, they are the number one choice for all big fish specialist anglers. 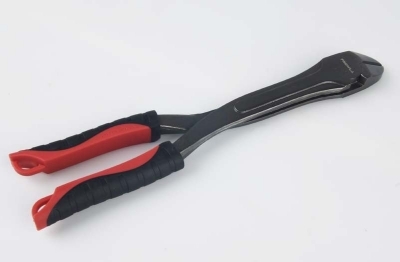 Finished in a scratch and rust resistant matt black nickel these 10 inch forceps have a short and powerful serrated jaw, which locks on central clamping teeth, giving you a firm grip on any hook hold making removal an easy task. The finger holes have been enlarged and rubber dipped for comfort. Available in either straight or curved jaws. These pliers have a special jaw that helps with the opening of split rings of any size making the changing of treble hooks a simple task! The jaws are good for squashing barbs on trebles and have a side cutter that will shear through wire, braid and mono. They are compact and fit in your pocket - always ready for use. The Suspenda Sub Float fished with a Prowla Paternoster Boom is the perfect solution for presenting natural baits. Simply thread the float onto your main line and push the rubber tube over the top swivel of the paternoster boom uptrace. Set the fishing depth by adjusting the length of the weak nylon lead link. Alternatively you can allow the float to slide freely on your main line. 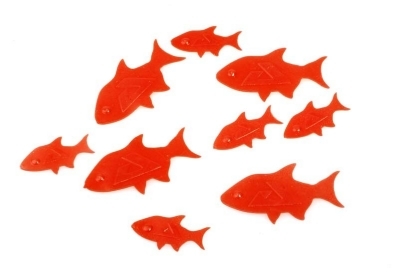 Available in 3 sizes these floats will suspend all sizes of live and dead baits and are moulded from clear plastic to be unseen by predators. This terrific new Safe System Pop-Up Boom can be used with any standard float rig to aid presentation and prevent tangles or wrap-arounds, especially in deep water. When used as a straight ledger boom it's perfect for presenting baits rigged with Prowla's Dead Bait Pop-Up Floats or Pop-Up Pears. The length and weight balance of the boom-arm keeps your main line firmly on the bottom making bite-offs virtually impossible. 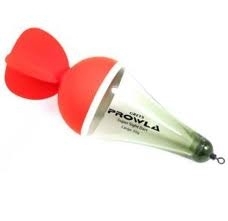 Prowla Safe System Pop-Up Booms are available in weight sizes from 20 to 40g, to balance perfectly with Prowla floats. They are fastened on to 150lb Safe System mono with super strong double barrelled crimps. This Supa Sight Dart is ultra buoyant and has visibility where you need it - just above the water. It can be seen at long range even in rough and wild water. Thread your main line through the eye of the swivel, which prevents line twist if the float spins when it's windy, and set your required fishing depth using a sliding stop knot and bead. Supa Sight Darts are available in 3 sizes each of which can be perfectly balanced with one of Prowla's quick change In-Line Sinkers. Prowla Wire Blades are manufactured from hardened stainless steel and can easily cut wire up to 100lb test, including 49 strand, carbon coated and Titanium. 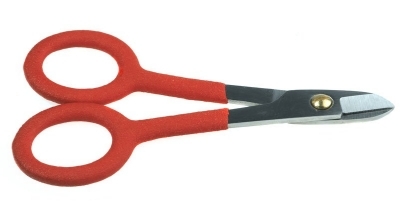 Soft-rubber, dipped and widened finger holes make these cutters very easy to use. Prowla Trace Crimps are soft, black coated, and at 12mm long give a perfect strong and neat finish to any wire trace. They have a large enough bore to allow wire to be passed through three times, and will fit either 7 or 49 strand wire between 20lb and 50lb breaking strains. 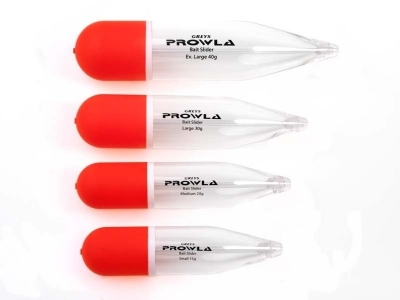 Use with the Prowla Crimping Pliers, which has an 8mm head, to ensure an ultra-strong and fish safe trace. 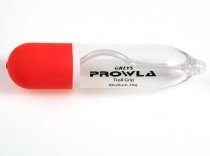 The Prowla Troll Grip float has been designed to allow you to fish baits in fast flowing rivers, or behind a boat. The bent inner tube grips your line and prevents the float from being pushed towards the trace by the current if you hold back when ‘trotting' a swim. This would cause your bait to be raised upwards from the set fishing depth and is undesirable. Simply thread onto your main line and set the required depth with a sliding stop knot. Troll Grip floats are available in 4 sizes, each of which can be perfectly balanced with one of Prowla's quick change In-Line Sinkers. The Prowla Rolling T-Snap Swivel has a breaking strain of 100lb test. Tied to nylon or braided main lines or links it offers you quick change ability and is an essential part of your armoury. 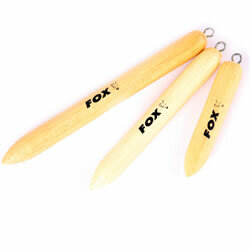 Equipped with nylon eyes which allows sticks to be retrieved when unhooking pike. Using braid, tie them to the trace with a sliding five turn grinner knot for a neat set up. For bigger baits, insert two or more sticks. 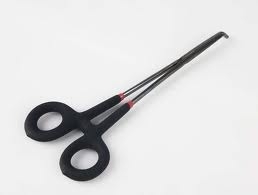 Manufactured from Easy Twist Wire incorporating ‘Lok Tight’ crimps and Power swivels. The trace features our Safe-Lok link, which allows the trace to be attached directly to lures and spinners and comes finished with protective silicon sleeves for neatness. As conditions change, it’s often necessary to alter the weight on your pike live or deadbait rig. 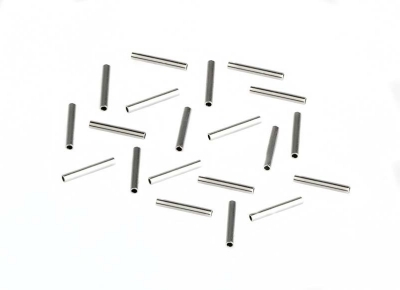 By using these easily changed sinkers, just remove the pin and slide them off the line, this can be achieved very efficiently saving time and trouble. There are a range of sizes to match other products in our predator product system. 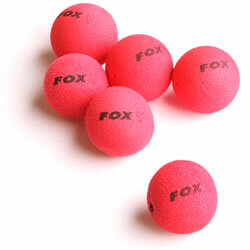 Highly buoyant foam balls. Excellent for popping up both live and deadbaits. The red colour is an added attraction, provoking pike into attacking, these poppers are however resistant to pike's teeth. 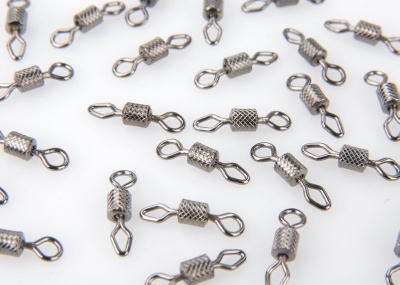 Connect them to your trebles using Fox Riggin Wire. A very useful presentation over weedy and silty bottoms. 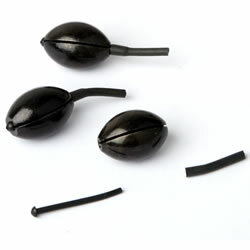 Enables tough skinned baits like mackerel/eel sections to be lightly hooked. Attach them to your trace system and follow the instructions on the packet. Allows a full-blooded cast to be made without needing to bury hooks in the tough skin of the bait, thereby avoiding the risk of not being able to strike the hooks into the pike's jaw. Packed in 4s with oval split rings. Dumpy pear shape with the main buoyancy above the water to provide extra support for roving livebaits or trotting in running water. A most effective visual bite indicator which clips to the rear rest for pike legering applications where the rig can be tightened down to. Featuring a range of clips which will suit most rear rests, a highly visible sight bobbin and an adjustable line clip. 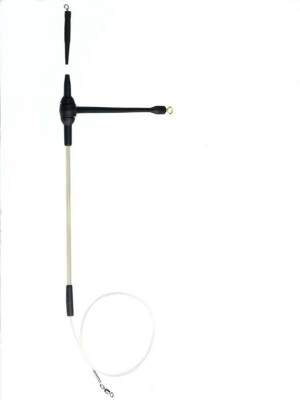 This more advanced visual bite indicator has all the features of our Drop Arm Indicator with the addition of a sliding weight to enable the tension on the line to be balanced to prevailing conditions of undertow or current. The weight slides on a chrome finished arm making it very robust and durable.